Considered the largest financial market in the world, the forex market processes transactions worth trillions of dollars each day. Behind the multi-trillion dollar marketplace are much more than online brokerage accounts and Bloomberg screens. At the top of the pyramid are prime brokers, providers of a wide variety of custodial and financial services, including acting as intermediaries between trading entities to eliminate counterparty risks. However, clients must satisfy extremely onerous requirements set by prime brokers to establish credit lines that provide access to the best exchange rates. 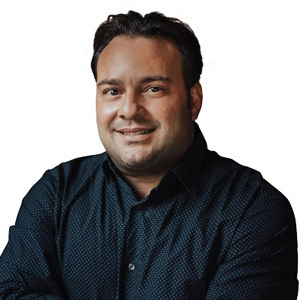 As an industry veteran with over a decade in institutional trading system infrastructure development, Rosario M. Ingargiola founded OTC Exchange Network (OTCXN) to eliminate the credit gap that exists due to the lack of prime broker provided access. OTCXN accomplishes this by leveraging its own proprietary blockchain technology stack to operate a peer-to-peer (P2P) electronic trading network. The network democratizes access to wholesale liquidity, making it possible for any trading entity to face any other trading entity directly, without counterparty risk. “We are revolutionizing the FX space so that trading entities do not require conventional prime brokerage credit lines to access the wholesale market—our trading network gives them an entire trade-to-settlement solution,” states Ingargiola. OTCXN’s core competencies lie in building institutional-grade blockchain technology as well as exchange technology. “We are using these two core competencies to essentially change the way digital assets are traded starting with the FX markets and cryptocurrency markets.” The company is developing a total solution that includes a suite of real-time services, such as collateral management, liquidation risk management, counterparty risk and liquidity management, instantaneous clearing and settlement, and post-trade messaging. The solution caters to various market participants like the custodians who hold client assets and the trading entities. OTCXN provides trading entities with APIs as well as real-time web applications, with full trading capabilities that include blotters and tools for managing their collateral. All trading uses the industry standard FIX protocol without the need to adopt or integrate any new protocols or technologies. “We basically change the way trading entities face each other financially; they can then trade FX bilaterally or multilaterally over existing ECNs and matching engines,” says Ingargiola. Additionally, the company provides a software gateway to banks that facilitate tokenization and reservation of collateral for trading members, such as cash in the client’s bank account, without OTCXN holding or controlling the collateral. “Our trade-to-settlement solution is a completely new hybrid market model powered by our turn-key blockchain technology that allows trading entities to transact with each other easily in a decentralized manner with complete transparency,” says Drew Rasmussen, CTO of OTCXN.